Deborah Ann Keller, age 59, passed away on Tuesday, August 19, 2014 in Broken Arrow, Oklahoma. Deborah was born on October 1,1954 in Spartanburg, South Carolina to her parents, Ollice and JoAnn Mitchell. She was the first child with two other siblings. Deborah received her general education at Broken Arrow High School before attending The University of Oklahoma and Tulsa University. 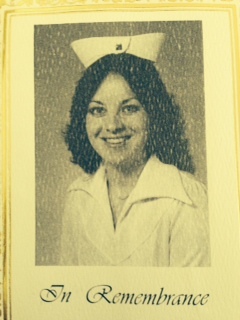 After five years of hard, diligent studying, she received her Bachelors of Science in Nursing. Deborah was preceded in death by her daughter, Amy Oliver. Deborah is survived by her mother JoAnn Mitchell, her daughter Claire Keller, her three sons Pat Oliver, Shane Oliver and Cody Oliver, her two daughter-in-laws Amanda Oliver and Maleah Oliver, her granddaughter Ashtyn Oliver, her grandson Grady Oliver, and her soon to be grand baby. Funeral services are to be held at 10:00 AM, Saturday, August 23, 2014 at Church of Christ of Broken Arrow, Oklahoma.